Email is tough because no one will read a 10-paragraph email and pointing your webcam at the whiteboard in your home office doesn't let your team participate (and someone always gets appointed "scribe" and that's a crummy job that no one wants to volunteer for). Having the right tools is so important for remote teams. That's why we built Limnu. Limnu is a flexible, extensible tool designed to bring your team together in the same virtual space, so you can capture the best ideas your team has to offer. But a tool is still just a tool. How do you work a tool like Limnu so it helps you instead of getting in the way of capturing your ideas? 1. Invite everyone on the team to participate. 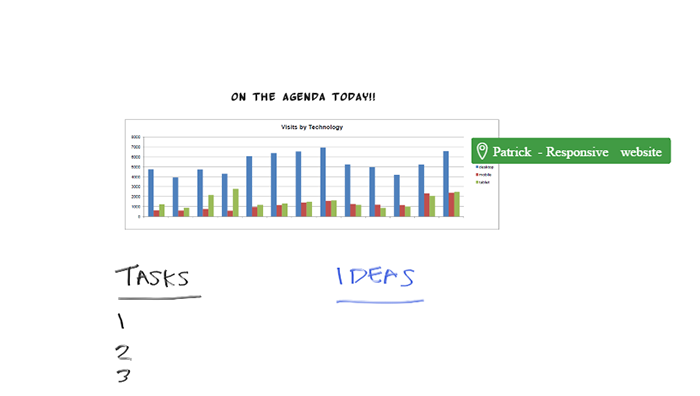 Send out an agenda and meeting invitation beforehand, to keep everyone focused and on the same page during your brainstorm. If you're using Slack and Limnu, it's easy to send out the invite to collaborate. 2. Import an image of an important graph, chart or graphic for easy reference to keep your team focused on solving a single problem. It's so easy to get sidetracked. Focus is key! 3. Start a video chat to talk while you brainstorm - all in the same app. Did you know over 90% of communication is nonverbal? Tap into that extra layer of communication with a team video chat session. 4. Add a pin to the board with a team member's name. That gives them an easy way to take a closer look at an idea that needs to get fleshed out later or so they can capture a task or assignment for a project. 5. Circle important or winning ideas with different color markers. 6. 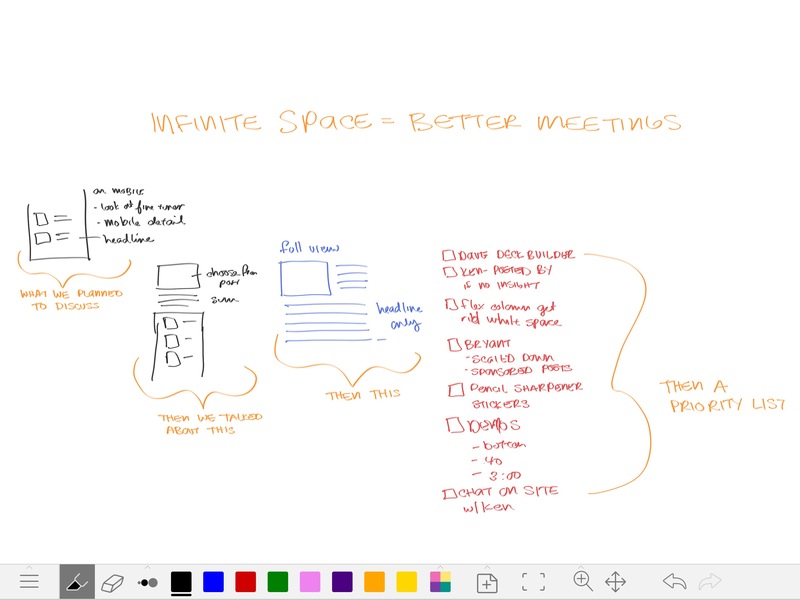 Make the whiteboard as big as you need to capture all of your ideas. 7. Add more to your work! 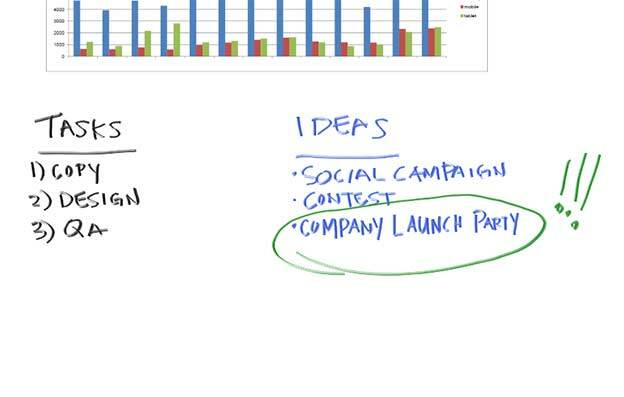 Many Limnu users refer back to their whiteboards and add more information to their boards, weeks after their boards were created. 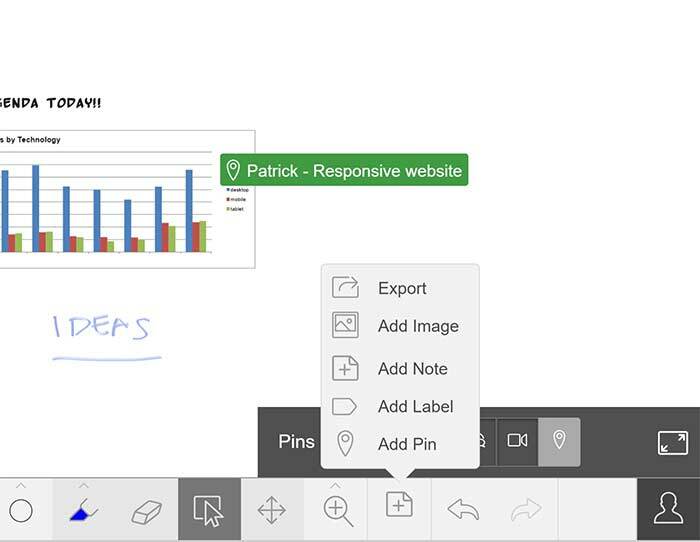 You can also export a screenshot of your whiteboard so you can add it to presentations or even drop it into an email for your boss to review. Brainstorming with your team, even when you're in different rooms, can be a productive and positive experience. Getting the right tools in place lets you get the most out of a remote team brainstorming session. 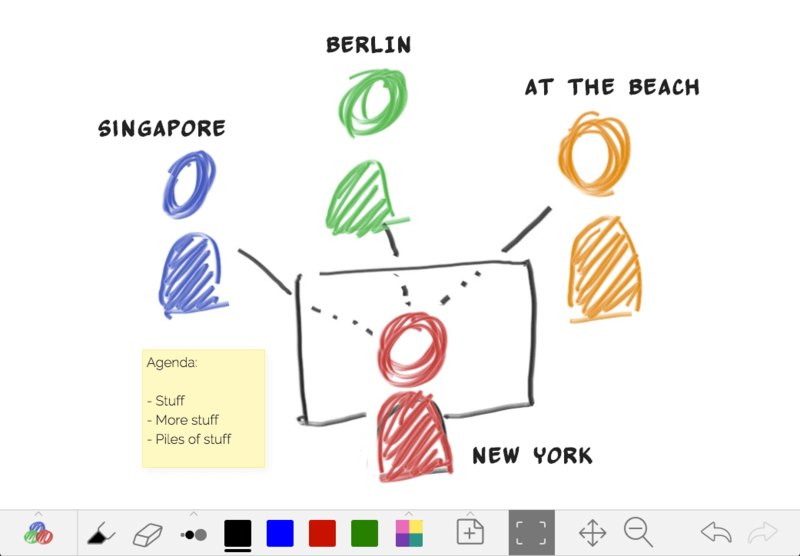 Limnu can solve the distance gap and get you, your team, and all of your ideas on the same page, er... um, online whiteboard. Wanna give Limnu a spin? Limnu is free and already integrated with Slack. Give it a try right now!